Women land rare roles running bold Pyramid Theatre Company. Beyond its productions of new and classic works by African-American playwrights, beyond its appeal to diverse audiences, and beyond the success of the plays it has staged since forming in 2015, there is something else remarkable about Pyramid Theatre Company: its female leadership. Change is overdue. A recent study of the 74 member organizations of the League of Resident Theatres revealed only 15 women served as artistic directors and only 19 were in executive or managerial roles. Of those women, only one was of color. In addition, according to an annual study by the Dramatists Guild and Lilly Awards, of the 2,508 productions put on by 153 regional theaters in the 2013-2014 season, only 20 percent were by female playwrights. Statistics don’t get in the way of Pyramid’s leading ladies: Renee Hardman and Rosemary Parson, chair and a member of Pyramid’s board of directors, respectively; Claudine Cheatem, general manager; Alexis Davis, managing director; and Tiffany Johnson, artistic director. Martin—who, when he isn’t in Des Moines, is working on his Master of Fine Arts degree in directing at Brown University—describes them as the “kind of women who are born to do what they want to do. This year’s productions will be “The Amen Corner,” July 21-Aug. 6, and “Mississippi…,” July 27-Aug. 6 (see accompanying story, page 96). Tiffany Johnson met Martin when the two performed in the 2014 StageWest Theatre Company production of “Clybourne Park.” He then wooed her to perform the lead role of Rose in “Fences.” For that production, Martin won a regional Broadway World award for best director, and Johnson won the award for best actress. Martin calls the chemistry of Pyramid’s leaders “a true testament to the power of theater. “Theater has always been a catalyst for social change,” he says. “The people we’ve managed to bring together are of three different generations, but the beauty is we’re all able to stand behind the importance of telling different stories. 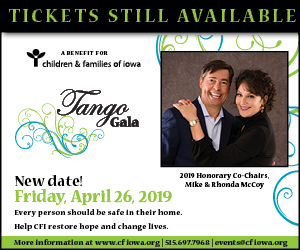 a leader in charitable organizations, including the Chrysalis Foundation, Children and Families of Iowa, and Des Moines Performing Arts, as well as served on the board of the Iowa Economic Development Authority. The experiences have given her an expertise in the complexities of business operations, planning, finance and time management. was being transformed into the new home of the Des Moines Social Club. Martin answered her questions about where he’d find talent. He put together a business plan. He persuaded the savvy business leader to get on board. As someone accustomed to “building, consolidating and making ideas reality from a business perspective,” Parson also believes Pyramid can be more than plays on a stage. She notes its potential to engage people in the components of theater that occur behind the scenes—sound, set design, management and more. Like her fellow board member Renee Hardman, Parson had no lack of volunteer obligations when she met Martin. But she wasn’t worried that joining the Pyramid board would stretch her too thin. They were, with more. Parson describes being approached after “A Soldier’s Play,” a work about racism and racist stereotypes in the military, by female military members and a wheelchair user who could relate to experiencing discrimination. At Pyramid’s 2016 production of “A Raisin in the Sun,” she talked with an elderly white woman who’d “challenged” her book club members to attend and proposed the book be the club’s next read. 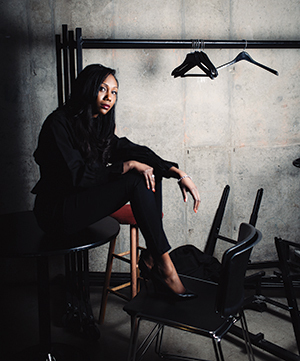 Parson, who describes herself as a “female executive in the insurance world where most people don’t look like me,” works to encourage other women—such as the members of the East High School girls’ basketball team whom she mentors—to dream big. But she also points out she’s “nothing but honored” to work with the men involved with Pyramid, such as board member Jerry Patterson, who, with his wife, Colleen, hosted a 2017 season kickoff party in their home. “Like these women of Pyramid who are power hitters, there are men who are power hitters working alongside us,” she says. Most important to Parson is what Pyramid offers Des Moines. 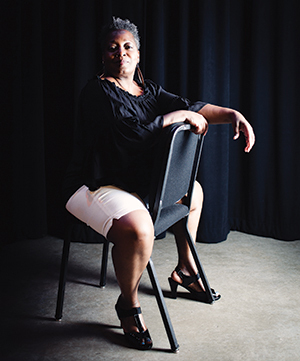 “I can’t be on the sidelines complaining about the lack of diversity in the arts in Des Moines; I’ve got to be the train that’s on the track,” Renee Hardman says. Then she listened to him. Consulting, which provides diversity and inclusion training, executive coaching and human resources consulting. “I just so believe in Pyramid’s mission, and I can use my voice. If not now, when?” she says. “I can’t be on the sidelines complaining about the lack of diversity in the arts in Des Moines; I’ve got to be the train that’s on the track. I want to see this theater company sustain itself over the years. We need to ensure our children and aspiring artists have a place where they can raise their hands and have their voices heard. They continue to do so, with Johnson as Pyramid’s artistic director. Last year she had her directing debut with “A Raisin in the Sun,” for which she received some guidance from her early mentor, Gaines, who now is a member of Pyramid’s advisory board. Johnson also reads a lot of scripts to help the company balance its productions between classic works and new ones. Pyramid did that last year with “Hooded, Or Being Black for Dummies.” The production included post-show “talk backs” for the actors and audiences to ask questions and express their emotions. Johnson and her colleagues go to churches and community events to promote Pyramid and scout for talent. 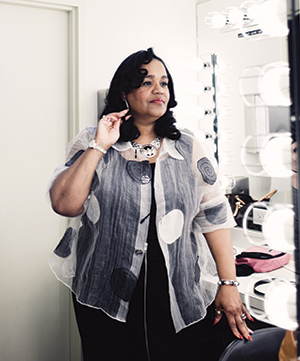 There is no doubting Johnson’s or her colleagues’ commitment to Pyramid and its legacy—“We’re all hands on deck, all the time,” she says—but contemplating how the company has come together makes her pause. “I tell people theater is ministry. Not as ‘where I believe in God,’ although you can get that message across, but where we can truly connect,” Claudine Cheatem says. 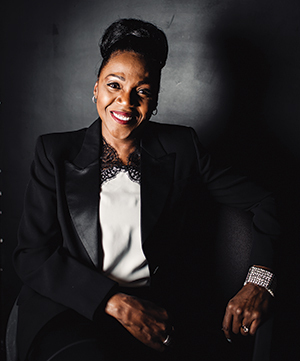 Claudine Cheatem began producing plays in her Des Moines backyard when she was 8, recruiting some of her 13 siblings to perform on a picnic table stage. “Paid entertainment didn’t exactly flow around our house, so we had to make our own,” she says. She’s still doing that as Pyramid’s general manager, with responsibilities ranging from setting up auditions to arranging guest artists’ travel to getting contracts signed. “It’s amazing to see the transformation in the actors. Cheatem loves that theater can provide diverse perspectives along with timeless themes and universal experiences that audiences can share. Alexis Davis, Pyramid’s managing director, hadn’t given much thought to the lack of women in theater leadership roles. That changed on Aug. 28, 2016, during the second annual presentation of the Cloris Leachman Excellence in Theater Arts Awards, Central Iowa’s version of the Tonys. It was still a happy night. Ken-Matt Martin, Pyramid’s executive director, received the Cloris Leachman Special Recognition Award. And the Best Play Award went to Martin and the Des Moines Social Club for “A Soldier’s Play.” Still, the experience affirmed for Davis Pyramid’s efforts to engage more women and others who have been underrepresented in theater. That effort is among many that Davis and her Pyramid colleagues are juggling. A full-time relationship banker at Bankers Trust, Davis also is associate choreographer for Hoover High School’s theater department, and she’s pursuing her master’s degree in communications leadership at Drake University. For the Des Moines Social Club’s 2014 presentation of “Fences,” which Martin produced and directed, Davis was the house director, sound board operator and assistant stage manager, who also helped run the light board. Davis describes Pyramid as a company that “sheds light on a community that is not really recognized. It allows African-American actors to get outside their comfort zone and realize there are more stories that tell their lives,” she says. But Pyramid “tells truth” not just for African-Americans, she adds. Three features of Pyramid’s 2017 season highlight its growth, success and willingness to be provocative—this year’s two productions and its new home in Stoner Theater. James Baldwin’s “The Amen Corner,” July 21-Aug. 6, portrays Sister Margaret Alexander, who has moved her Harlem congregation with a mixture of personal charisma and ferocious piety. But when Margaret’s estranged husband, a jazz musician, comes home to die, she risks losing both her standing in the church and the son she has tried to keep on the godly path. “Mississippi…,” July 27-Aug. 6, examines the next-door neighbors of Civil Rights activist Medgar Evers who struggle with tough decisions in a tumultuous time. The play, by Jonathan Norton, premiered in 2015 in Dallas. 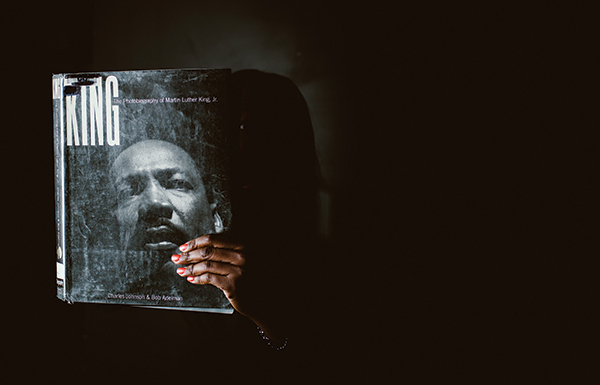 “The play turns on its head immediately because it’s not investigating the Civil Rights movement but instead what every person can understand—two generations trying to understand how to move forward,” Martin says. “There’s a young daughter who wants to move forward with protesting, and her parents who don’t want to turn on the 5 o’clock news and see their daughter in danger or hurt. After a “difficult state-out-loud conversation,” Pyramid board member Rosemary Parson says, the company chose not to use the play’s full name, which includes an expletive. Both plays will be staged at Stoner Theater in the Des Moines Civic Center. Martin praises Stoner’s focus on theater productions and is excited to utilize Des Moines Performing Arts resources, such as its technical staff and ticket sales operations. Eric Olmscheid, director of programming and education for Des Moines Performing Arts, says Stoner has a “long-standing tradition of being a resource for the community” and hosting Pyramid productions there is a natural extension of that mission. The rise in residency includes conspicuous canine companions.